As a young boy, I had no choice but to become a Spurs fan. My father tried hard to make me follow Blackpool in honour of his father's birth place, but when my cousin was already a young star at Spurs it seemed the obvious choice. I began the journey following my cousin to youth team matches, reserve games on wet midweek nights and anywhere he was playing. During this time, we used to play in his back garden, where he would totally bamboozle me with free kicks and skills which to this day seem impossible, but he had flare and talent rarely seen. It was a total pleasure to see him flourish at Spurs, and seeing his career take him to playing for England and ultimately becoming the England Manager. Even with spells at Monaco, Swindon and Chelsea my allegiance to Spurs has never faltered. 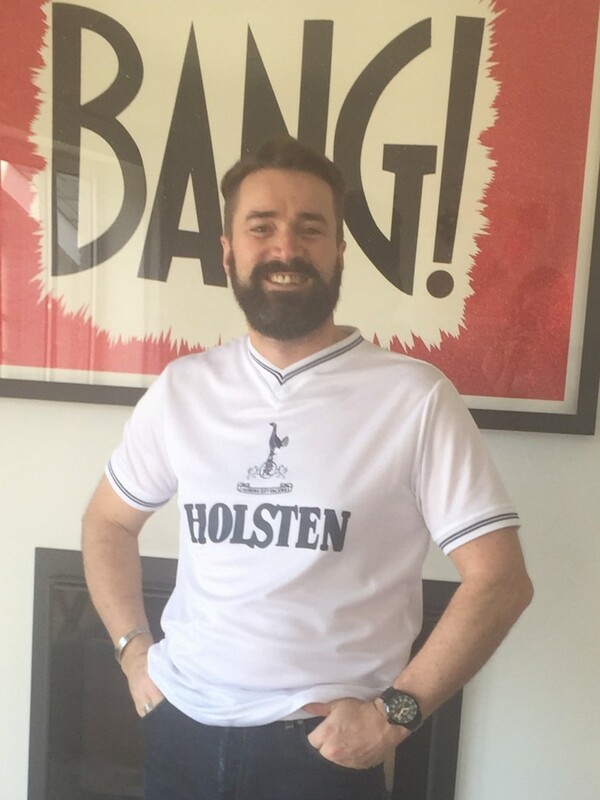 Now I have reached 50, I have been given a glory day retro Spurs shirt by my family and wear it with pride, as you can see from last week's photograph. If you hadn't guessed by the clues, my cousin is Glenn Hoddle.